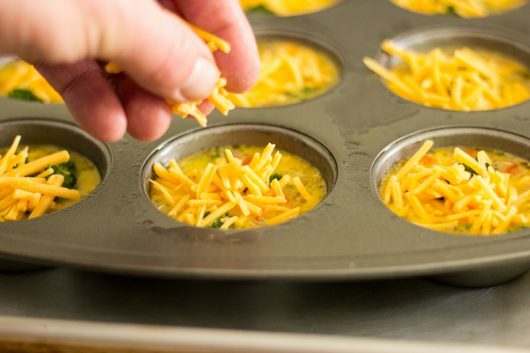 Note: You will not need a printable recipe for these egg muffins. Why? 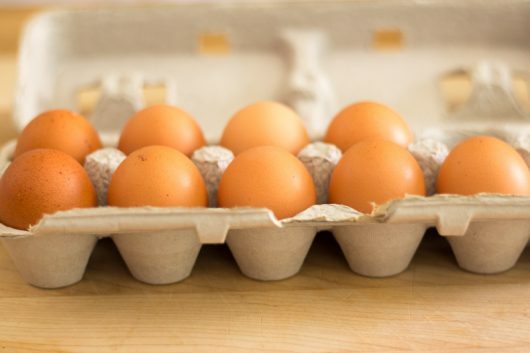 Because there’s only one exact ingredient the muffins require: 9 eggs. Otherwise, the fillings are entirely up to you! 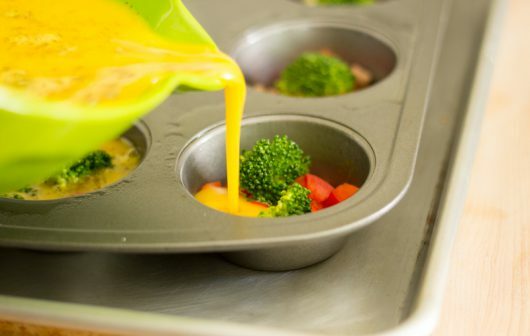 To start, take a standard, non-stick muffin tin, and grease the 12 openings with non-stick vegetable spray. 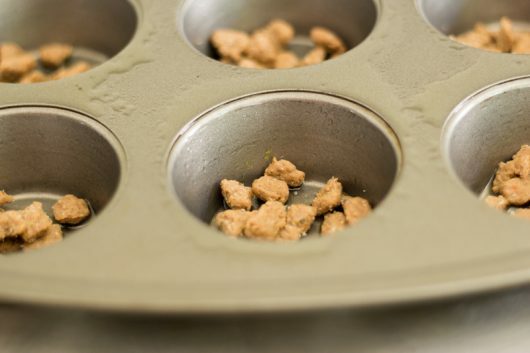 Put the tin on a baking sheet, and set aside. Meantime, center the oven rack, and heat the oven to 400°F. 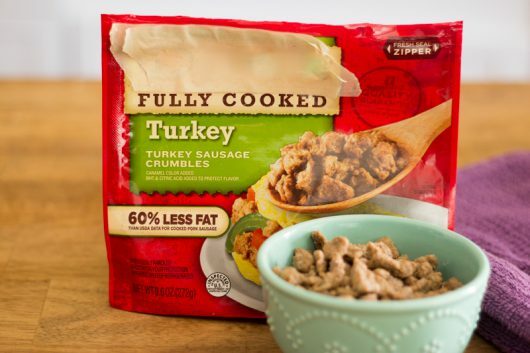 First, run to the supermarket, and grab a small bag of already-cooked and crumbled turkey sausage. If you’re a vegetarian, you can substitute the sausage for crumbled vegetarian “meat.” Crumbled faux bacon will work. And cut it into small florets. And cover the bowl tightly with plastic wrap. Heat on “high” for just 3 minutes. 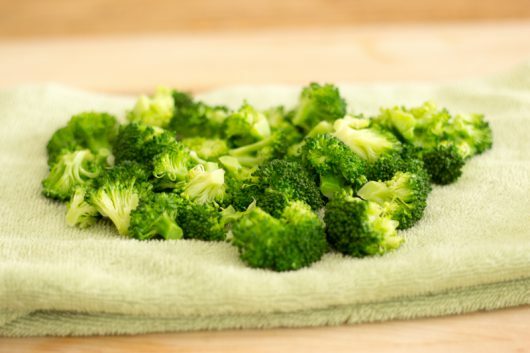 Then drain the florets, and let them cool briefly on a terry towel or paper towels. And some fresh or dried herbs (I used Italian seasoning). 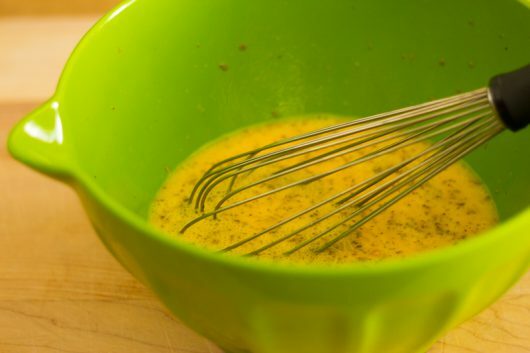 Whisk the egg mixture to smithereens. 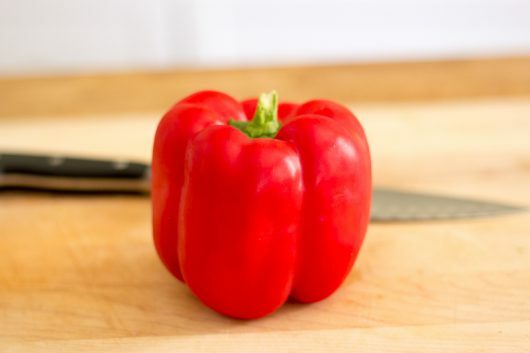 Followed by the diced red pepper. 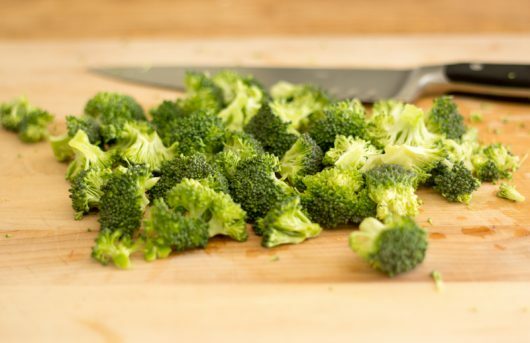 Also add 2 or 3 broccoli florets per opening. Then add the egg mixture, filling each opening about 2/3rds full. Finish with a sprinkling of extra-sharp cheddar cheese! Bake until the “muffins” puff and are cooked through — about 25 minutes. Let cool in the pan for about 5 minutes. During this time, the eggs will deflate just a little. To mitigate deflation, simply maintain your kitchen at 400°F. 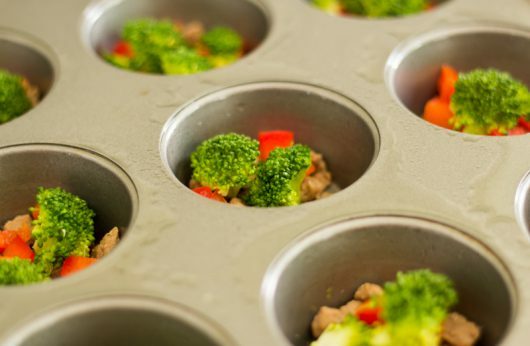 To unmold, run a plastic knife around the muffins, and pop them onto a serving platter. As you can imagine, these eggy wonders are incredibly delicious. They’re pretty to look at, too. 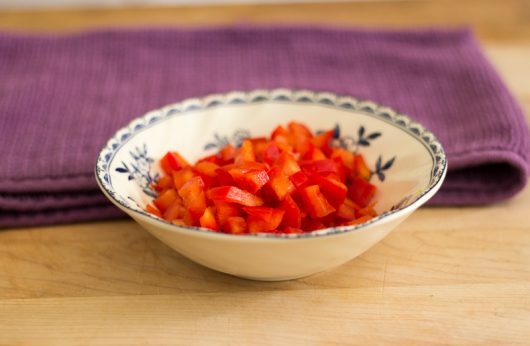 Eat ’em while they’re hot, or let cool to room temperature, and then cover and refrigerate. Cold muffins are fabulous for breakfast. They’re fiber-rich, too. And can I tell you something else? 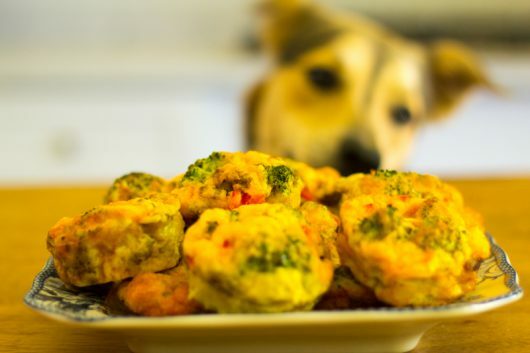 Herb and Veggie Egg Muffins have received the Counter-Surfing Canine Seal of Approval. One final note. 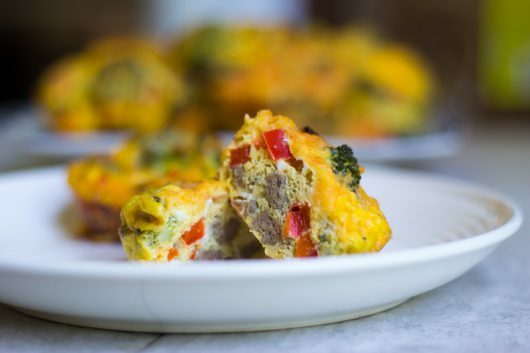 From my bag of crumbled turkey sausage, my crown of broccoli, and my bold and beautiful red bell pepper, I ended up with enough ingredients to make an additional 12 egg muffins. This next batch will be extra-easy to make! 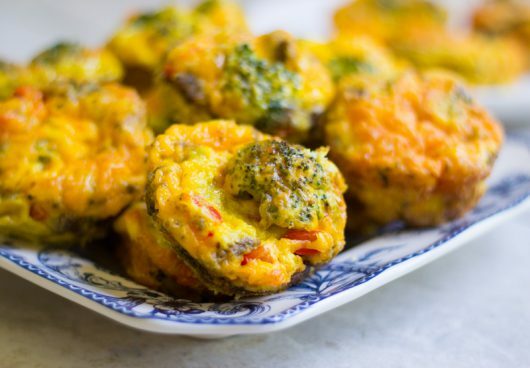 Thanks, these look fantastic and we are trying to eat low-carb, so this recipe is perfect. I love the thumbs-up (paws up?) from the adorable counter-surfing girl! Hope she got at least half of one of these babies. I believe i did maintain that temp in my kitchen today. Steamy here in illinois. I am overrun with eggs. 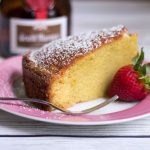 I will put this recipe to use! 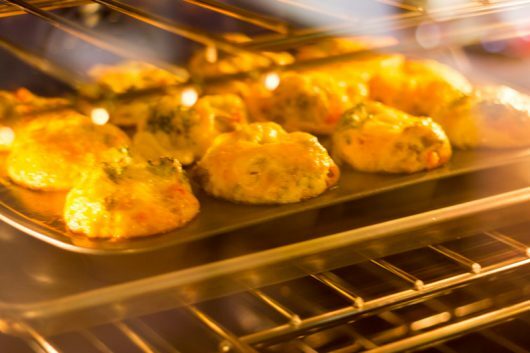 Hi Elise – If you make these egg muffins, please let me know how they turn out for you! 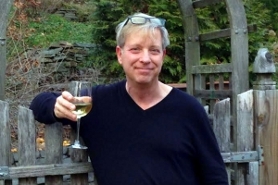 Hi Gloria – Hope you get a break from the muggy weather. Hi Growing my own – You are lucky to have a surplus of eggs! I made these muffins again yesterday, so 18 eggs in just 2 days. Kevin, Do you think these would freeze well? 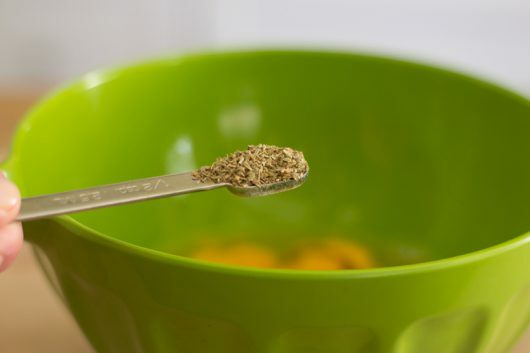 Hi Honeybee – The muffins will stay fresh and wonderful in the fridge for up to 4 days. (Be sure to let them cool completely before refrigerating.) I’ve not tried freezing mine, so can’t answer your question with any degree of certainty! I love reading your recipes. The cute little toys and your fun wording…. I love that you always include your pups. This is a great recipe for picnics, boating trips, road trips. 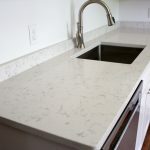 The matte-finish white subway tile, with matching grout, allows the quartz countertop to shine. Beautiful! I’ve tried these muffins and they are a wonderful idea. My problem was they were very soggy on the bottom. I think it might be that I put onion in the cups which probably contain too much water. I did freeze most of them and they came out just fine (except for the soggy bottoms). I popped them in the micro for 5 or 6 seconds and they were great. These look wonderful! Do you deliver? 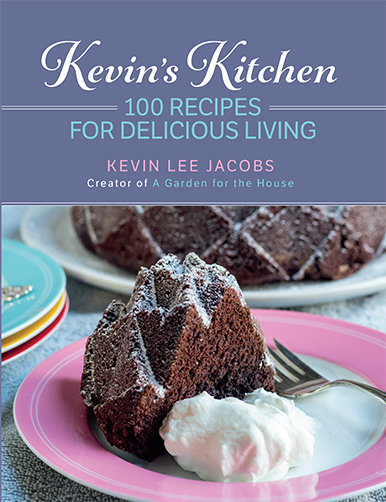 Great recipe Kevin will have to try this , thank you for all you send us. Can’t wait to try these muffins. I also have an abundance of eggs right now. The ladies are busy this time of year. I will make some today and freeze them for a quick breakfast on the run. I love those cute little toysdo they have a name? Paulette, those are toys from a bygone era, made by Fisher-Price. I still have the ones my children played with in the 1970s, and that my grandchildren still enjoy playing with. Hi Kevin! 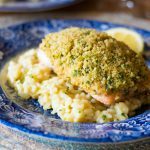 Love this recipe because the ingredients are always in my house…if not I’ll change up the veggies. Also, I’ll make them mini muffin size…just like’m little! Thanks! Haha, Kevin. Love the humor. 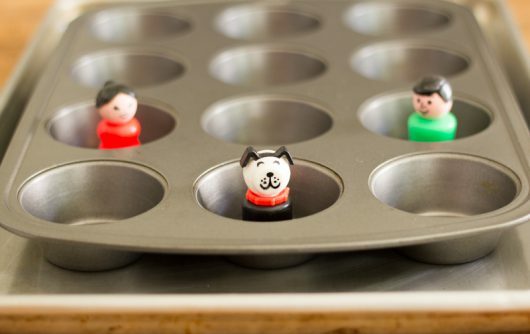 Kevin, I love LOVE that you incorporated Fisher-Price little people to oversee the muffin-making; you made my heart sing! Just recently my grandchildren were playing with the sets of little people that I still have from the 1970s when my children were little. The muffins look super good and easy to make, even for a 73-year-old crone! Do you have the Farmer and the chickens? My three year old had a tiny Revere saucepan with lid and she would make “soup” for her dad. The Farmer and the chickens went into the pot. We, young parents, were horrified when she served the “soup” with the Farmer in the tiny bowl . Thanks for the memories of 1971. Congrats on your 4 paw rating for the muffins! Sound delicious and I can see they are doglicious too. I’ve learned that adding water to the bowl before microwaving broccoli is unnecessary. I do it just like you: cut into pieces, put in microwave safe bowl, cover, nuke for 3 minutes. 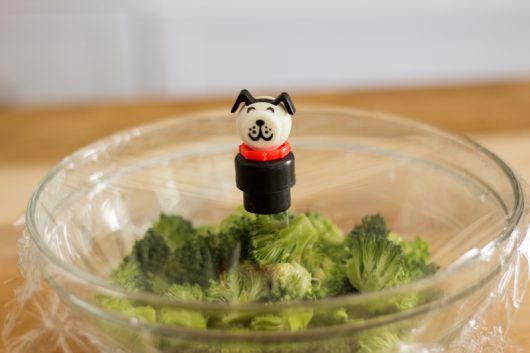 Not only is there enough water already in the broccoli for cooking but you will end up with a little water in the bowl after cooking too. That’s my tip for conservation of our precious water!!!! HA. Thank-you-excellent post. Protein, veggies and b-12 eggs for our 95-year old Mom and me. The make-ahead part is great. She can be awake and hungry at 3:am. Thank-you, again. Thanks Kevin. My husband has to go gf so this is excellent and he loves eggs:-). Happy Father’s Day! I love the “counter surfing canine seal of approval”…along with photo of said canine. Thanks for the laugh! I don’t see a link to print the recipe. It looks so good and I want to try it but there are too many pages to print it all out with all the photos. Please add print option for condensed recipe. I’m sitting on a bus on my way to work and looking at these muffins. Theyy making me hungry. They look amazing, can’t wait to make them. They will be great to bring on an overnight stay at someone’s home for breakfast. Kevin, I laugh every time you include the Fisher Price little people in the photos of your recipes. Also enjoyed the funny photo of your counter surfing canine, who is completely adorable. 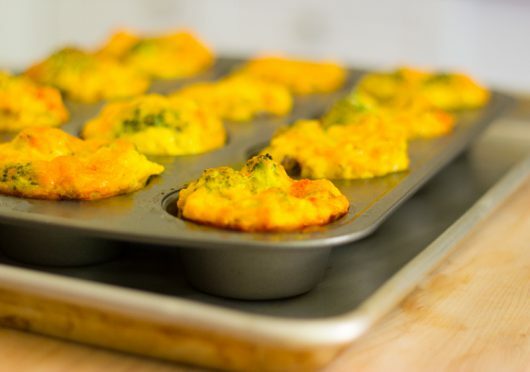 These Herb and Veggie Egg Muffins look like they will be so easy to make and filling….perfect ! First, run to the supermarket, and grab a small bag of already-cooked and crumbled turkey sausage. 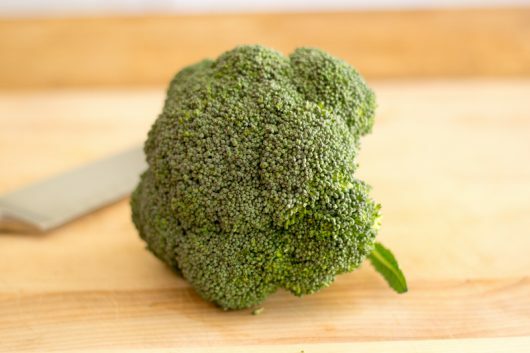 Small head of broccoli And cut it into small florets. 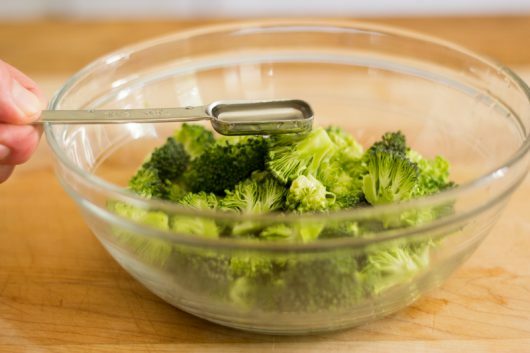 Put the florets (and a teaspoon of water) [NOT NECESSARY to add water, broc has enough water per ‘comment area’] in a microwave-safe bowl…cover the bowl tightly with plastic wrap. Heat on “high” for just 3 minutes. Then crack 9 large eggs into a bowl, add salt & pepper. And some fresh or dried herbs (I used Italian seasoning). Whisk to smithereens. 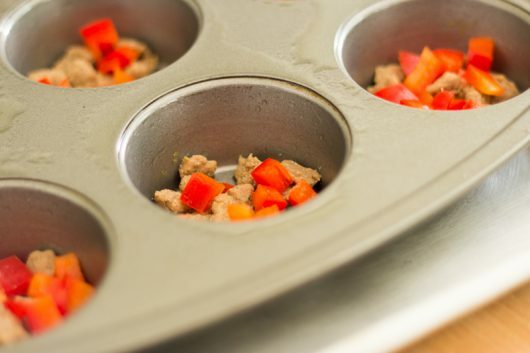 To assemble the muffins: Into reach muffin cup, add a scant amount of the crumbled sausage…died red pepper, 2 or 3 broccoli florets per opening. add the egg mixture, filling each opening about 2/3rds full. These are my new everyday lunch. Make six, wrap individually in cling wrap, refrigerate. The last one was as good as the second one. The first one was best, still warm. 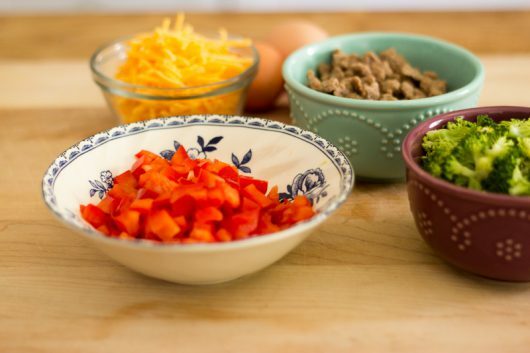 I used breakfast sausage, broccoli, chives, red peppers and cheddar. Yummy! These were so easy and delicious! Thank you. I see a great option for leftover ham, steak, various cheeses. I did add a pickled jalapeno slice to each because that’s how I roll!